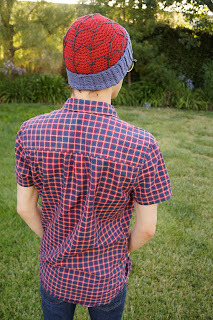 I didn't have long to work on a new pattern for the new Spiderman movie and the fourth of July, so instead I recycled one of my old ones and made a Spiderman Classic / Slouchy Beanie! 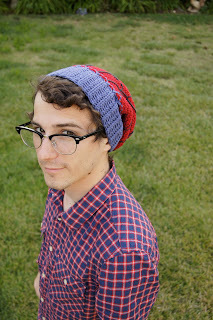 Check out the brand new beanie in the Etsy shop today! 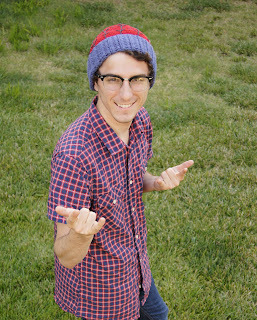 Check out some more photos of the hat after the jump! 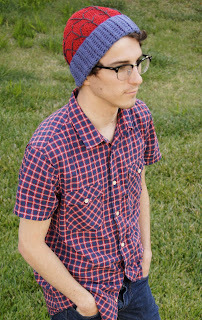 Don't forget to check back tomorrow for a brand new FREE pattern!! Who won the giveaway?! Great idea for the hat. Maybe a tutorial coming soon? Ok. :) Did we hear from him? If so, what did he pick?! My son was born 8 weeks early at 2lbs 7oz and we have always called him spidey. I would love a tutorial on how to do this...he turns 2 on August 2, and I would love to make one for his birthday. Just found you and love your patterns. Send me an email at louies.loops@gmail.com!